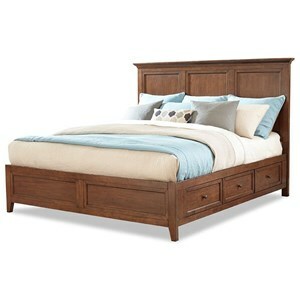 Give your bedroom the clean and sophisticated look you've been dreaming of with this transitionally styled queen bed. 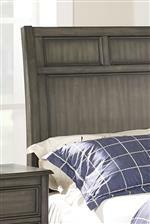 The framed panels on the headboard and footboard add an extra texture and visual flair to this piece. 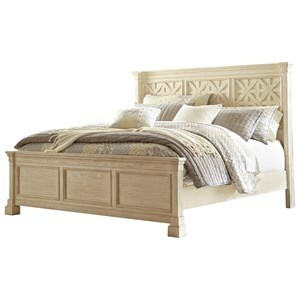 The USB ports on either side of the headboard give this bed an extra level of functionality, and ensure that your electronic devices can stay charged through the night. 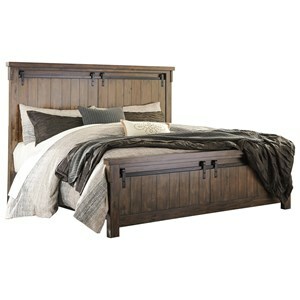 The Richfield Smoke Queen Panel Bed with USB Ports by New Classic at Rife's Home Furniture in the Eugene, Springfield, Albany, Coos Bay, Corvallis, Roseburg, Oregon area. Product availability may vary. Contact us for the most current availability on this product. Clean lines and a style that rides the line between classic and contemporary make this bedroom group the perfect timeless collection to add to your home. 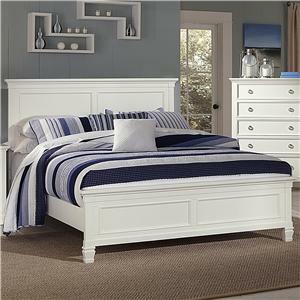 A number of storage pieces and eye catching beds make any combination of pieces from this collection the perfect choice to craft the bedroom of your dreams. 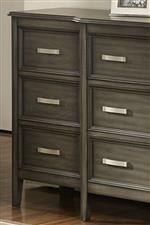 The Richfield Smoke collection is a great option if you are looking for Transitional furniture in the Eugene, Springfield, Albany, Coos Bay, Corvallis, Roseburg, Oregon area. 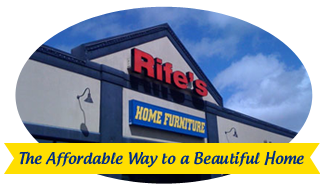 Browse other items in the Richfield Smoke collection from Rife's Home Furniture in the Eugene, Springfield, Albany, Coos Bay, Corvallis, Roseburg, Oregon area.